Congratulations to Distinguished Research Professor Emeritus Barry Lever (Chemistry) on being elected a Fellow of The Royal Society of Canada in recognition of his outstanding scientific achievements. His contributions to physical and inorganic chemistry span five decades. With over 300 articles and several books to his credit, Barry is one of the most cited chemists in Canada. Juris Steprans (Mathematics & Statistics) kicked off the Science of Science Fiction series, with a “ A Hitchhiker’s Guide to Godel’s Incompleteness Theorem ” at the Lillian H. Smith Branch of the Toronto Public Library. Our thanks to Peter Cribb, Suzana Pinto and the TPL staff for making it all happen. Next up: “ I, For One, Welcome Our New Robot Overlords ” by Michael Jenkins (Computer Science and Engineering, LSE) on October 20. Derek Wilson (Chemistry) hosted the Mass Spectrometry Enabled Science and Engineering (MS-ESE) CREATE program’s first academic and industrial workshops for graduate students . Over 60 students attended the academic workshop and the industrial workshop drew over 70. Participants came from York University, University of Toronto, University of Waterloo, and McMaster University. 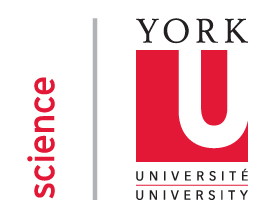 The Faculty of Science, along with Lassonde, became a founding member of Nano Ontario , which strives to develop collaborations between academia, government and industry to advance nanoscience and related technologies. The partnership aligns with the Faculty’s efforts to strengthen materials research further. Over 100 people attend the ACS on Campus event hosted by Gino Lavoie (Chemistry). Most participants were from York, but some came from other institutions, including Seneca, Ryerson, Waterloo, McMaster, Montreal, UHN, Bologna (Italy) and Nova Gorica (Slovenia). Presenters included FSc research officer Daniel Bacinello, alumnus Scott Tanner and ACS’s Nancy Jensen. The Faculty participated in the Ontario Universities Fair at the Metro Toronto Convention Centre. 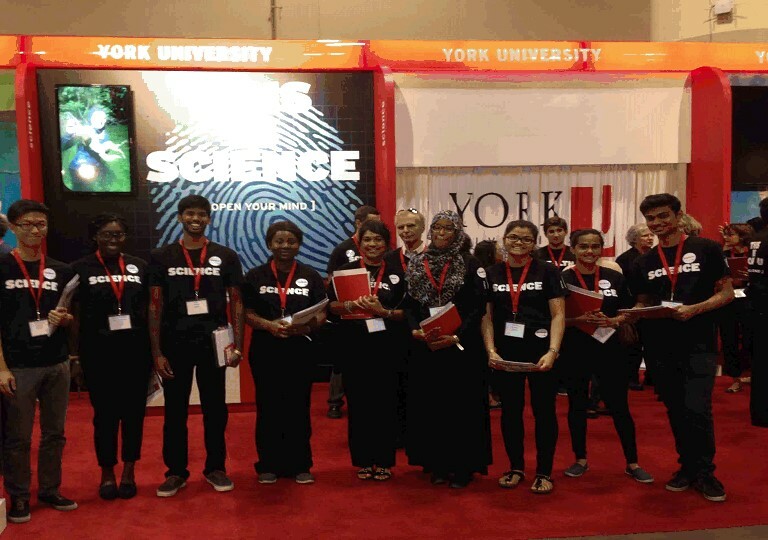 Over three days, our team spoke with over 2,000 prospective students and their family members about Science programs. Many thanks to the Science team, including 15 faculty members, 25 current students, one alumnus, and the Science Academic Services staff. 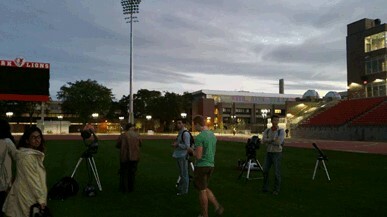 Over 300 visitors came out to the Pan Am Stadium (now the York Lions Stadium) to watch the “super Moon” total eclipse. 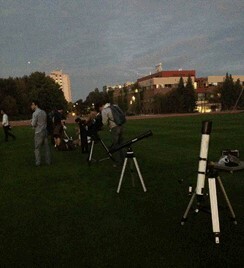 The Astronomy Club and the York Observatory deployed a dozen telescopes and many binoculars for the Luna Palooza event. Despite increasing cloud cover, the mood was festive, and attendees took the opportunity ask questions about a variety of astronomical topics. 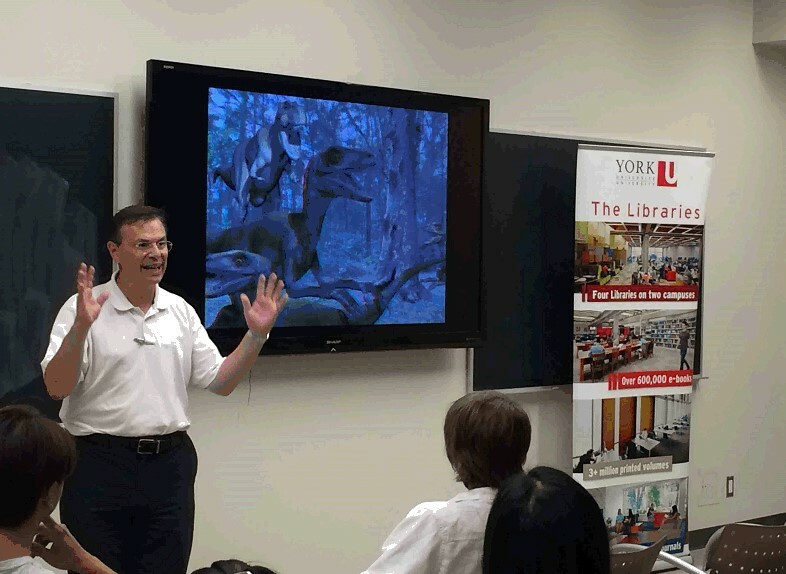 On-campus Science Literacy Week events, organized by York University Libraries, included lectures by Marshall McCall (Physics & Astronomy) and John Dupuis (Steacie Library) as well as science demonstrations, featuring the Science Engagement Office, the York Observatory, and the SOLTA Lab‘s cosmic ray detector. 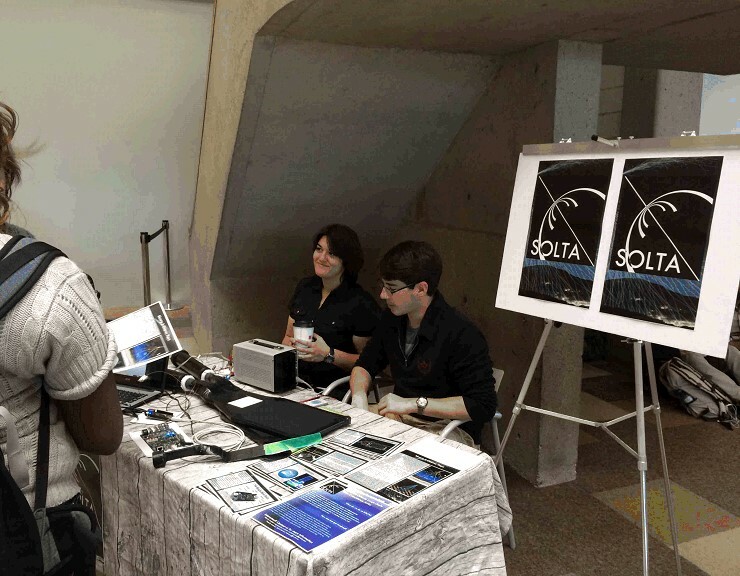 The second annual Faculty of Science – Vendor Fair was held on September 3 in the foyer of the LSB. Although fewer vendors attended this year, there was a great turnout by graduate students and staff. The funds raised will once again be used to promote Department Days. Man Wah Wong (chair), Martin Muldoon and Jianhong Wu (Mathematics & Statistics) were among the organizers of the International Conference on Analysis, Applications and Computations: In Memory of Lee Lorch, 1915 – 2014. Held at the Fields Institute to coincide with the centenary of Lorch’s birth, it drew 30 attendees to discuss a broad range of topics. The Toronto Star reported on John McDermott’s (Biology) recent findings on the possible benefits of beta-blockers post heart attack. Matt Johnson (Physics & Astronomy) had a conversation on CBC Radio Ideas with Paul Kennedy exploring the vitality and centrality of the scientific imagination. The Today FM radio station in Dublin (Ireland) interviewed Laurence Packer (Biology) about bee research and his recent book. 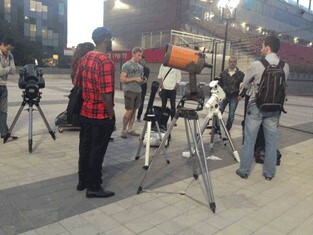 Paul Delaney (Physics & Astronomy), Jesse Rogerson (graduate student with Patrick Hall – Physics & Astronomy), Jen Zomederis, and Sophia Nasr were interviewed by Radio Canada International , CBC , Daily Planet , Global News TV , and York Region about the total lunar eclipse. The CBC also reported on the Luna Palooza event. NASA’s announcement that liquid water flows on present-day Mars made September 28th a little more interesting (and busier) for Paul Delaney (Physics & Astronomy) and Jesse Rogerson (Physics & Astronomy). A number of media outlets interviewed the two, including: CHML Radio, Globe and Mail , CTV National TV , CTV News Channel, Global TV, Toronto Star , CJAD Radio, Sirius XM Radio, Canada AM TV, CBC Here & Now, CP24, CFRB 1010 , and CHML Hamilton . We’ve recently revamped our website and will continue to make changes. Let us know how we can improve your experience.